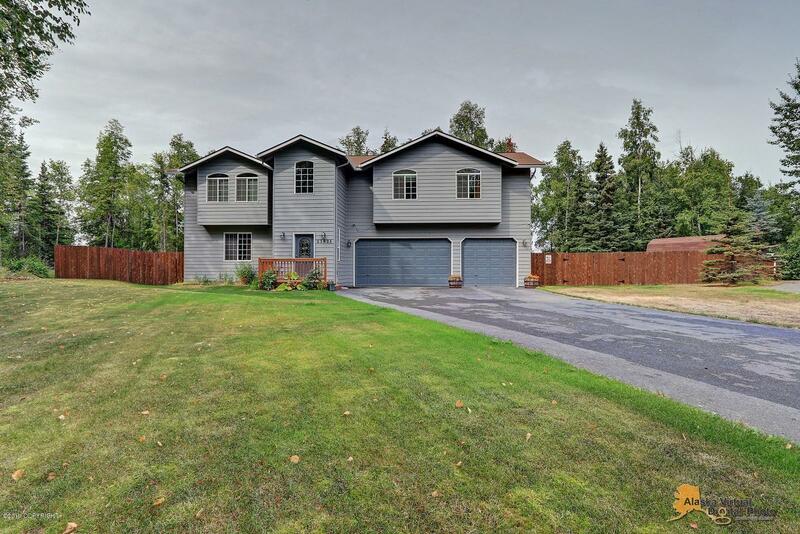 Beautifully updated & maintained home in Knik View Estates. Nicely tucked away at the end of the street with tons of privacy! Perched on a nearly 1.5-acre lot w/great views! Open concept updated kitchen features quartz counters w/island & peninsula, gas range & BI micro. Large deck off dining area w/stairs down to fully fenced backyard. Quiet & peaceful yet an easy commute to Anchorage!